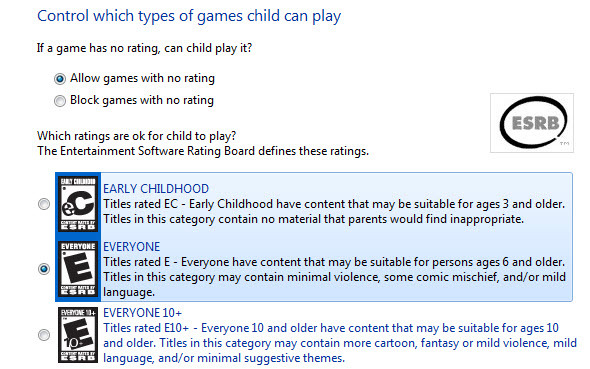 Microsoft Windows 7 OS comes with a useful build-in Parental Controls feature. Using this feature you can limit the time spend on computer and the program usage. 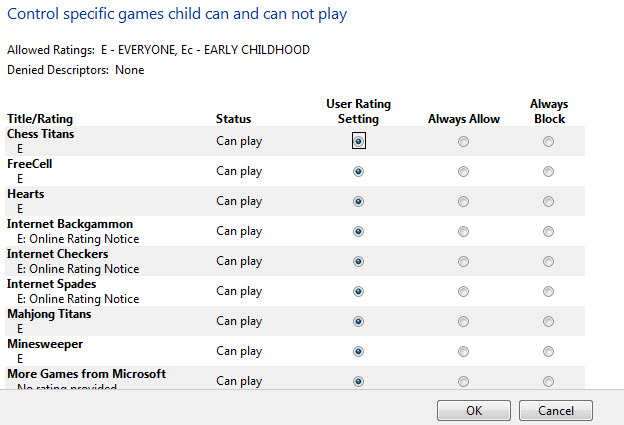 Now we will see how to setup the Parental Controls in windows 7. 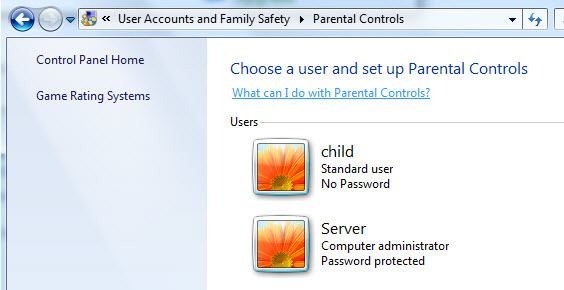 In windows 7, click the start button and enter “Parental Controls” in the search programs and fields box. then select Parental Controls. You can also go to Parental Controls by Control panel->User Accounts and Family Safety->Parental Controls. Note: Set password for your admin account in windows 7. 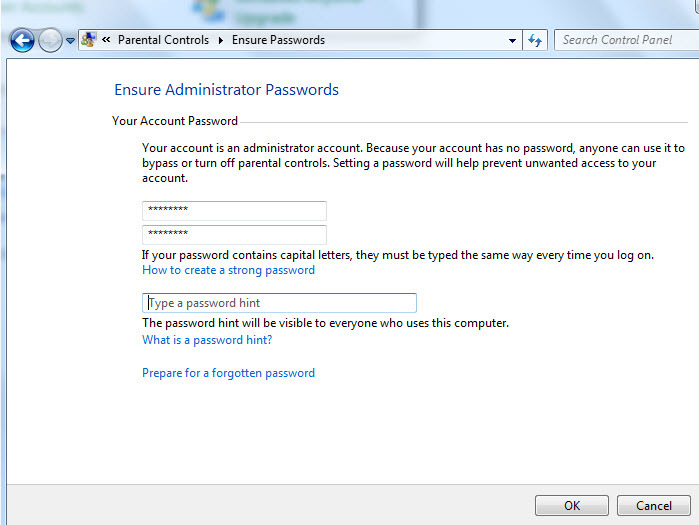 If you don’t have password for your administrator account, the Parental Controls windows shows a yellow warning as “One or more administrator accounts do not have password. Just click on it and set a password for your admin account. Now create a new user account for your child by clicking the Create a new user account. Then click on the child’s account you want to set up the Parental Controls. Then check the On, enforce current settings radio button. 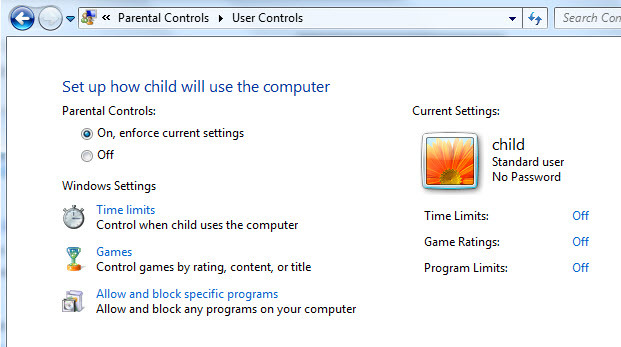 Here you will find three useful Parental Controls feature like Time limits, games, Allow and block specific programs. Just click on Time limits. Here you can allow and block your child’s computer usage. Then click the Games menu link. Here you can control the type of access your child has to games on the computer. You can set the game rating and Block or Allow specific games. 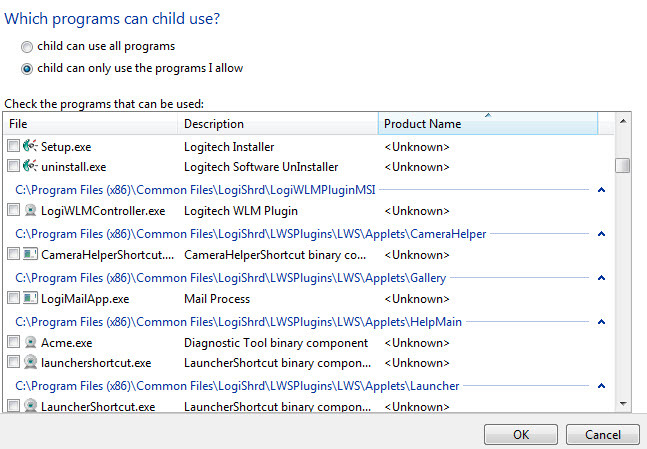 And the third option is Allow and block specific programs. This is useful if you want to restrict some programs on your windows 7 computer.